Wonder how Nintendo’s current gen game machines are doing? 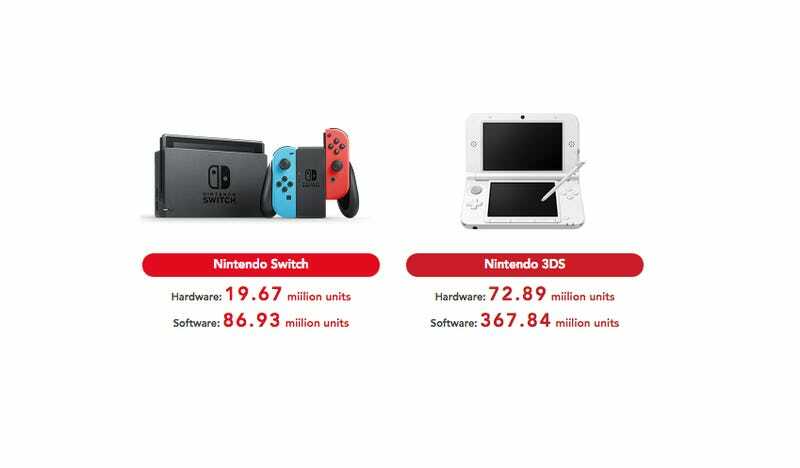 The Kyoto-based company just released life-to-date tallies for both the Switch and 3DS, as well as software totals for each. For comparison’s sake, Nintendo included lifetime sales figures for its other game hardware. Have a look.